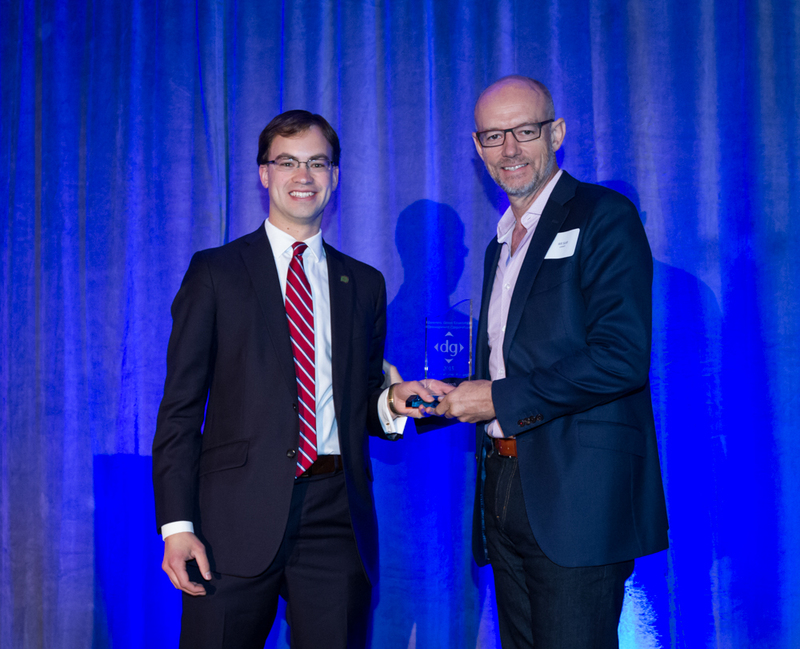 Downers Grove, IL-The Downers Grove Economic Development presented its Cornerstone Awards at the DGEDC Annual Luncheon on June 18. The luncheon was held at the DoubleTree Suites Hotel and featured keynote remarks Lt. Governor Evelyn Sanguinetti. Nearly 200 business and community leaders registered for the event. Advocate Good Samaritan Hospital was the Groundbreaker Sponsor for the luncheon. This was the third year that the DGEDC presented the awards. The annual Cornerstone Awards recognize projects that have been completed in the preceding twelve months. Projects are judged on the economic impact and the design of the facility. Mayor Pro Tem David Olsen presented the awards. The first award was presented to Bentley/Lamborghini Downers Grove. The new Lamborghini dealership opened on Ogden Avenue in August 2014. The project has helped establish Downers Grove as a location for luxury auto dealers. Dealerships are an important part of the local economy, generating substantial sales tax revenues. The grand opening was spectacular, and featured the CEO of Lamborghini, who flew in from Italy for the event. 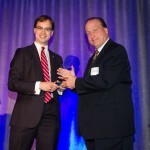 General Manager Daniel Kern accepted the award on behalf of Bentley/Lamborghini. 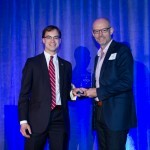 The second award was presented to Lextech. The company moved it’s corporate headquarters to Opus Place in Downers Grove in April 2015. Corporate headquarters and other Class A office projects are also an important part of the local economy. Lextech is a leading high tech firm that designs and supports mobile applications to help companies generate efficiencies and reinvent workflows. In 2014, Inc. Magazine named Lextech one of the top 150 software firms in the country, and included it on its annual list of fastest growing companies in the United States. 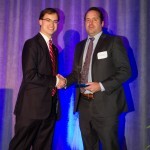 Will Scott, President and Integrator, accepted the award on behalf of Lextech. 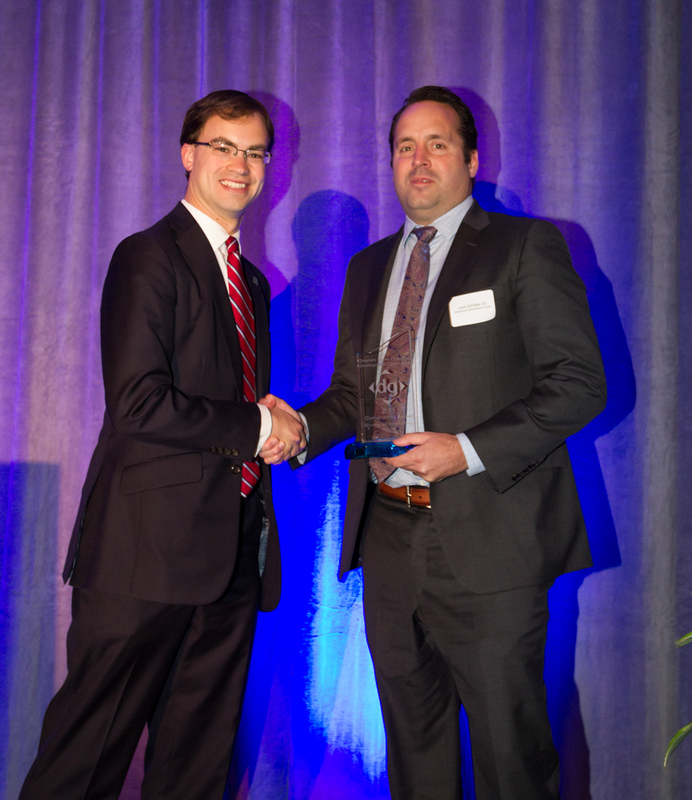 The final award was presented to Shorewood Development Group. Shorewood redeveloped the former Luxury Motors site at the southeast corner of Ogden Avenue and Florence. The project is anchored by a new Fresh Thyme Farmers Market, and also includes a commercial out lot building. The project is significant because a catalyst site was redeveloped, and because a new “fresh market” grocer has opened, generating jobs and capturing sales tax revenues. Fresh Thyme held a grand opening for the new store in April 2015. 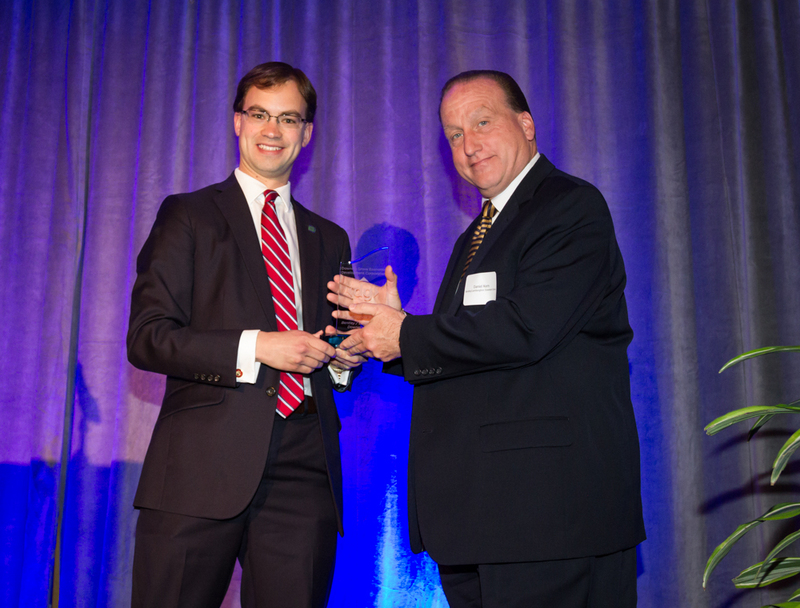 President Louis Schriber accepted the award on behalf of Shorewood.